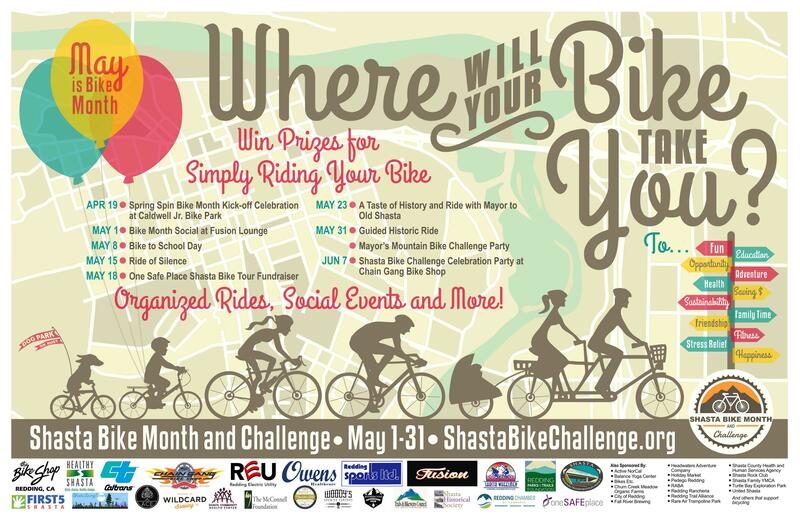 Welcome to the Shasta Bike Challenge tracking platform, Love to Ride. The local challenge is in conjunction with the National Bike Challenge. Participants can register, log trips, and track current stats and rankings throughout May. Visit www.ShastaBikeChallenge.org for local events, rides, news, and updates.